At this point, I'm sure everyone has been inundated with top whatever lists for any and everything. Mine is about...music. Imagine that. My list is different than any other list you've read. That doesn't make it better (or worse), right or wrong, just different. Music is subjective and personal. To me there are only two types of music: music I like and music I don't. And just because I don't like it, doesn't mean it's not good, just not to my taste. Conversely, just because I like it doesn't necessarily mean it's good. I'll be the first to admit that I like a lot of crap. If you've read this blog before, thank you, and you know that I'm not genre-specific. That would make things so much easier. You also know that I am mainstream-phobic, so there are not going to be any mega hits on my list. This is by no means a "Best of" list. It is not a comprehensive list. I'm sure there are several albums that were released in 2015 that would make my list had I heard them. These are the albums that I have listened to numerous times. Albums I would and have listened to again and again. Music that has resonated with me. Music that I will be listening to in 2016 and beyond. I listen to albums, not songs. I'm not immune to making playlists of songs, but I'm happier when I can put on an album and listen from start to finish without having to skip songs. That's what my list is about. Here is my top ten with my favorite song from the album (where available, where not, just a song from the album). Links in artist's names are to my posts explaining my picks. Other links are obvious. Hope something there resonates with you. If not, oh well, it's my list. Here's to a fantastic 2016. I will post a full top 10 list at the end. In the meantime, I am going to explore each record in my top 10 and why I selected them. Again, this is not a "Best of". It is the albums that I've heard and resonated with me personally. There is some really good stuff out there that doesn't make my list because, well, it's my list. There's a lot of stuff I haven't even heard. Maybe you'll like some of it. When I was listening to my list of 2015 albums, my number one surprised even me. By July I was pretty sure I had my top three. This was not one of them. I grew up listening to classic rock and southern rock. I grew up during the popularity of hair metal/80s hard rock. The music that you grew up listening to stays with you to varying extents, no matter who you are. Though as I've gotten older and expanded my musical horizons, I still love guitar driven, melodic hard rock. 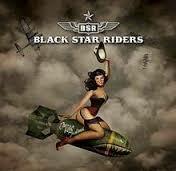 Black Star Riders grew out of the band touring as the remnants of Thin Lizzy. Out of respect for Phil Lynott and the other original members, when they decided to record new material, they chose to do it under a new name. 2015's The Killer Instinct is pure rock gold. It's what you would hope Thin Lizzy would sound like today. Classic without sounding dated. Hope your Christmas was merry and your new year will be happy. 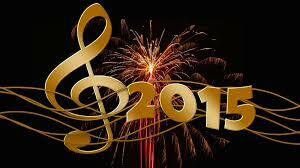 There will be a post containing the full top ten list coming out before the new year. There's just something about Southern Rock that I've always loved. I guess it's just comfort music to me. Real music with real songs about real things. From the myriad of 70s stuff including Skynyrd, The Allmans, Marshall Tucker, etc., to right now with bands like Whiskey Myers and Blackberry Smoke, I always like it if it's done well. 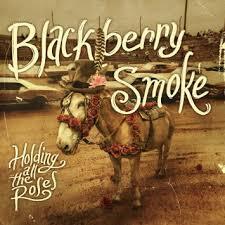 Holding All The Roses by Blackberry Smoke is done well. I know it's not groundbreaking. It covers familiar territory. It's nowhere near the second best record released in 2015. This series has never been about a "Best of" list. It's about my favorite albums. Albums being the key word. Holding All The Roses is one you can put on and just listen, whether in your car or on your patio or on the beach. Just push play. who he is now. I was on Traveller back when it came out in May. I'm not saying this to credit myself as some kind of music discovery savant. All the credit goes to the people who write other blogs and my social media contacts who alerted me to this album. As far as Traveller goes, it's good. While it's touted as country, and it is to some extent, it's so much more than that. 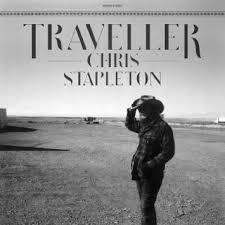 It is fourteen songs and 63 minutes of good songs, good musicianship and fantastic vocals covering not only country but southern rock mixed in with some soul and blues. Also, maybe, what some would characterize as Americana. It is music for people who like good music. If it resonates with the dumb masses, all the better. If you want reviews, I'm sure with the use of the Google machine you can find as many as you want. All I'll say is: listen to this album and you can thank me later. This is a late entry on my radar and it speaks to how good it is that it made the top ten, much less coming in at number four. Elle King's Love Stuff was released back in February and although I was aware of the song "Ex's and Oh's" the full album didn't invade my consciousness until last month. Songs are what make an album great. And Love Stuff is full of good songs. If it weren't, it wouldn't be on my list. But what elevates this record is King's voice. Unique. Sultry. Smokey. Sassy. And just plain good. With equal dexterity and equal passion, she can go from full on rocker to traditional country without missing a beat. Or a note. 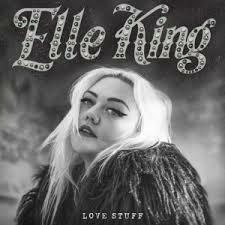 Elle King's Love Stuff is another album that cannot be pigeonholed into one specific category. You want a little blues in your rock, soul in you country, swamp in your Americana, she's your artist. You want electronic, metal or rap, not so much. A popular thing is to say an artist sounds like another artist. I do that sometimes, just for context. Elle King defies that. She sounds exactly like Elle King. And that's a good thing. I'm not a music critic. I'm a music fan. I'm a huge Halestorm fan. For me to put Into The Wild Life at number five speaks to how good music was in 2015. Halestorm's self-titled first full length record was pretty much straight up hard rock. 2012's The Strange Case of... was a lot more of the same, but there were glimpses of different sides to the band. While Into The Wild Life does not disappoint if you want your hard rock, there is more nuance and diversity to everything. It seems as though all of the influences over the years come through in this record, but not in a nostalgic way, but in a new and fresh way. 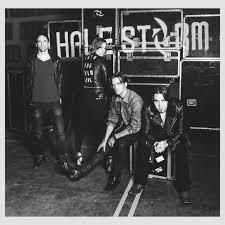 With Halestorm, heavy rock will always be their base. That's who they are, unapologetically. When listening to the album, I hear Michael Jackson, country, industrial, classic rock, rhythm and blues, heavy metal and funk. And when I listen to the record again, I'll hear something else. Here's the joy in listening to the record, the next song is not going to sound like the last. For some people that may be a turn off. For me, that's magical. I love the unexpected, especially if it's good. 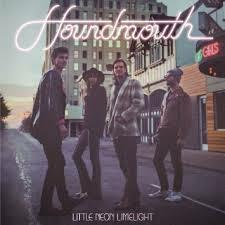 Houndmouth has taken it to a new level with their 2015 release Little Neon Limelight. Each song is so well-crafted. Each song tells a story. Storytelling is a real missing element in most of today's music. This Indiana-based quartet is bringing that back. Little Neon Limelight is a record best consumed in its entirety. With the different members of Houndmouth taking lead vocals on different songs, and sometimes within the same song, you can't get a full understanding of what they're all about unless you listen to the whole record. What kind of music does Houndmouth play? I don't know. Americana, country-tinged roots rock, alt-folk, all of the above? Doesn't matter. It's just good music. Listen to it. Enjoy it. Really, I can't pigeon-hole what they do, except to say that they write good songs, sing and play well, and there is not a skip-worthy song on the record. And that's really what we're all looking for, right? 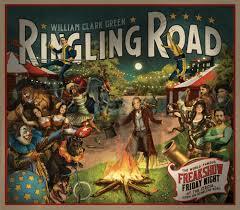 I'm guessing that William Clark Green's Ringling Road is not going to show up on a lot of year end lists. But it showed up on mine. My criteria is not what is innovative or iconic or groundbreaking. It's an album I can listen to without skipping songs. Basically it's road trip music. Put it on, crank it, listen to it and drive. But it's also back porch, drinking with friends music. Put it on, chill, listen to it and enjoy. Confused yet? The offering from Texas/Red Dirt artist William Clark Green is everything one would expect from a good Texas/Red Dirt record. Country, raucous country, Southern rock. But what you also get from Ringling Road is a collection 11 very well-written songs, regardless of how you'd like to classify it. The opening song on the record, "Next Big Thing", chronicles how hard the music industry is right now without sounding bitter. The trapeze guys are all high on cocaine that they bought from the guy who used to drive the train. Drivin' that train, high on cocaine, Casey Jones you better watch your speed. "Ringling Road", the song, also is the kind of loose, greasy stuff you might hear from Texas legend Ray Wylie Hubbard. If you like Texas/Red Dirt country, country, Southern Rock and the occasional outlier, check this out. It's kind of fitting that number eight on my list is Chaser Eight. See the what happened there? Chaser Eight's self-titled debut album Chaser Eight is musical gold. (Yes, I know, it's not their first release, just their first full length record). Released in February of this year, it took me six months to find it, but that's the landscape of independently made records, it may take a while, but if you keep looking you will find the good stuff. Here's the thing, there is not a bad song on the record. That's hard to do. There are very few albums I can put on and listen to from start to finish without skipping songs. And if you care about music, albums still matter. Songs are great, but to get the full effect of what the artist is about, albums. To me, the best way to really know how good or bad a record is, is to listen to it by yourself driving in your car. This one passes that test with flying colors. Full disclosure, lead vocalist, *AUDRA* agreed to a Q&A with me, which you can read here, so I may be biased. But who isn't, right. Seriously, I play this record at least once a week. It's that good. One way I can describe Delta Rae is Fleetwood Mac, 2015 version. The very distinctive and different vocals of Brittany Hollges and Elizabeth Hopkins evokes the difference you could hear in Christine McVie and Stevie Nicks. Then you have the male vocals of either Ian or Eric Hollges to fill the Lindsey Buckingham role. 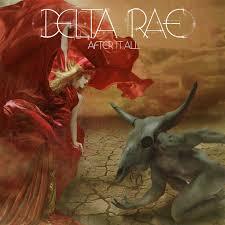 But that does not do justice to what Delta Rae is all about. They are not Fleetwood Mac wannabes. In fact my best description is to throw Fleetwood Mac and Little Big Town in a blender and throw in a bit of Jim Steinman and see what comes. That would be Delta Rae. We all want to categorize things into neat little boxes. That's human nature. This goes here. That goes there. It makes things easy. Delta Rae does not allow you to do that. Are they rock? Yes, sometimes. Are they pop? Maybe, in some songs. Are they Americana? I can make that argument. Are they country? Who knows what country is anymore with Sam Hunt being touted as country, so, yeah, sure. What is Delta Rae? A great American band making kickass music. And really, the last part is all that matters. My qualifications for a good album is one that I can push play and not want to skip any songs. After It All stands up to that test. I will post a full top 10 list at the end. In the meantime, I am going to fully explore each record in my top 10 and why I selected them. Again, this is not a "Best of". It is the albums that I've heard and resonated with me personally. There is some really good stuff out there that doesn't make my list because, well, it's my list. There's a lot of stuff I haven't even heard. Maybe you'll like some of it. 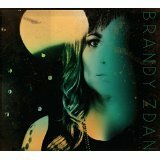 Brandy Zdan's self-titled "debut album" comes in at number ten. Debut album is in parentheses for a reason. It's her first full-length solo output. Zdan has put out some EP's and albums as part of other projects. So, this debut is not from a newcomer. The best description of this album came from a tweet from my friend at Farce the Music, and I'm paraphrasing here: Brandy Zdan's new album come along and filled that space of smokey, rockin', good music. As musically diverse as the album is, the one common thread is Brandy's smokey, sultry voice. It's like Grace Potter and the Nocturnals meets early Sheryl Crow with doom metal and goth undertones while sprinkling in some Americana combined with pop, country and dance with killer, yet sparse guitar work. As strange as that may sound, it all works. The album itself also has an odd dynamic. And I'm not saying odd is not a good thing. The first few songs are more of the rockers on the record. Then it slowly turns more melancholy, followed by the Americana/pop. Kinda. It's really not that linear. But really, what makes a good album for me is that you can put it on and listen from start to finish without wanting to skip songs. Brandy Zdan accomplishes that in spades. First of all, let me make it clear that these are not necessarily the best or most popular or most significant albums of 2015. These are my favorite albums that I have listened to more than once or twice. It's my list. I'll link to the album spotlights and interviews from this blog. There won't be any commentary in this post. The list would be shorter if I were genre specific or only listened to mainstream stuff. This is about good music that I like. And I don't listen to much of anything mainstream. I listed my favorite albums of 2015 and came up with 24. This honorable mention list will include the 14 that didn't make the top ten. The artist's name will link to my posts, the album name will link to the artist's web site. Look for my top 10 coming out later this month. This time of year, everyone is inundated with "Best of" and "Favorite" lists for whatever: music, movies, commercials, books, fails, balls of twine, whatever. I know that you are all waiting on pins and needles to see if I will do one. Here's the good/bad news: I will. Of course, it will be about music, specifically albums. I'll make this caveat right now, it will only include albums I've listened to and listened to several times. And it's mostly artists that don't exist on radio. So, yeah, no Adele. These will be albums I can put on and listen to start to finish. Will there be some songs on the records that I really don't like? Sure. But not skip-worthy when in your car on a road trip. Why do a list when I've featured most of these albums during the past year right here? Because it's important to go back and listen again to what I thought was good at the time. One of the drawbacks of always digging for new music is that you sometimes forget to listen to what you like. This is a good time to do that. So far I've narrowed it down to 23 albums. Yeah, that's a lot, but there was a lot of good music to come out in 2015. And that's just the one's I've heard and listened to multiple times. There is much more that I never heard or only heard once. I'm going to narrow it down to a top 10. But I plan on making two posts. One featuring the thirteen on the outside, I guess an honorable mention of sorts. And then the top ten. Right now I have nine of the ten. That last spot is hard. It would be a lot easier if I had a focus on one genre, but I don't. The only genre I care about is called "music I like". And that entails rock, hard rock, country, Americana, blues, and some other stuff. So for those of you that read my stuff, thank you. And yes, the overdone, obligatory lists will be coming.